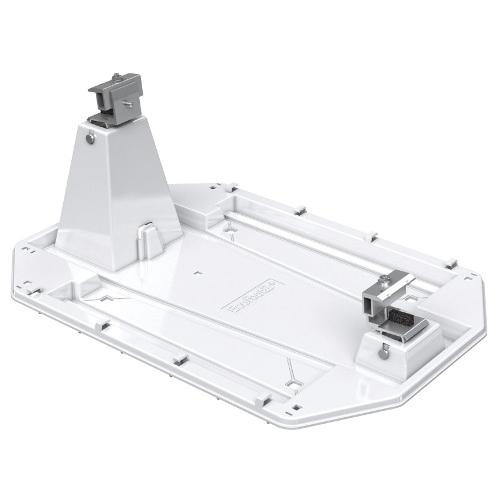 EcolibriumSolar ECOFOOT2+ Base bare roof interface in white color, features Luran ASA construction. It measures 26.5-Inch x 18.25-Inch x 8.3-Inch. Included universal clamps integrate grounding seamlessly while reducing install time. This roof interface comes with built-in water and drain channels.